Affordable cremation is becoming the most common choice by individuals from all different religions and cultural backgrounds throughout the country. Legacy Cremation Services is pleased to welcome you to our website. Due to our large network of cremation affiliates we are able to offer the most affordable cremation at the highest quality of service. We would like to invite you to review all of our Legacy Cremation Services before making final arrangements. If you and your family have suffered a recent loss, we offer our deepest sympathy to you. 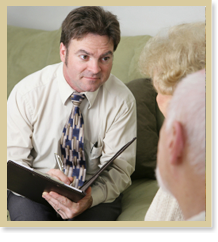 Our compassionate staff is dedicated to assisting each family personally. We will identify and fulfill all of your unique needs at the lowest possible price. Our firm is available 24 hours a day to assist you in planning a cremation for your loved one. There are many types of affordable cremation services available. We would like to take a few moments of your time to introduce some of the various options that are available. Family who prefer not to have any type of memorial gathering or service will plan a simple or direct cremation. 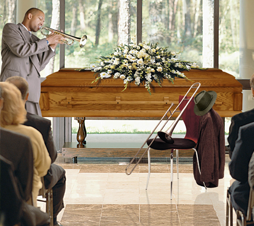 Immediately following the death, funeral personnel should be contacted for the removal of the decedent. Your funeral director will be able to advise you of all necessary administrative and legal requirements needed by your state in order to proceed with cremation. There is usually some type of waiting period required by law before cremation can take place because it is irreversible. Although simple cremation is an option, many people later regret this decision because it denies family and friends closure. You can still plan affordable cremation services for your loved one by having a small formal or informal gathering to celebrate the life of your loved one. This small meeting will allow family and friends to begin the healing process. Planning a memorial service where family and friends will gather reminisce is a healthy way to say good-bye. You can plan the ceremony with or without having the cremated remains present. If you decide to have the cremated remains present then you may want to select a decorative urn to display at the ceremony. This type of service can be formal or informal. The ceremony may take place at the funeral home, residence, outdoor place, religious facility or another location. To personalize the service you may want to consider having photographs displayed for family and friends to view and you may want to play your loved one's favorite music during the visitation. If the cremated remains are going to be placed in niche or are to be buried in a family plot at a cemetery, this can take place immediately following the memorial gathering with or without a funeral procession. Once cremation takes place, you can choose to have the cremated remains interred or scattered at a later date. This type of affordable cremation still allows family and friends to gather and celebrate together the wonderful live that was lived. A traditional funeral with cremation to follow is very similar to a traditional burial service with the exception of cremating instead of going to the cemetery for an interment. This type of affordable cremation is more costly than a simple cremation but still provides a substantial savings to the family compared to the traditional burial. You may decide to purchase a cremation casket for the viewing or you may want to consider renting a "rental casket" for the visitation. It is less expensive to rent a casket and later have your loved one placed in an alternative container for the cremation process. You may decide to have a visitation with a closed casket, open casket or a private family viewing with cremation services to follow. After the visitation period, some type of funeral ceremony will take place that is planned by the family and then, after the service, cremation will take place. Just as when the family goes in procession to the cemetery, the family can follow in procession to the crematory. Traditional cremation services of this kind often provide better closure and comfort for family and friends to begin healing. People are often unfamiliar with the many options for the final disposition of the cremated remains when planning an affordable cremation. It is important to discuss with your family what to do with the cremated remains of your loved one after cremation takes place. There are many options to choose from. The cremated remains can be buried in a family plot or placed inside of a mausoleum at a cemetery. It is common to have the cremated remains placed in the casket of a family member that will pass in the future. You may want to scatter them at your loved one's favorite place or at sea. Cremated remains can be launched into space. They can be placed inside a beautiful coral reef in the ocean. The funeral director will assist you in planning any of these types of affordable cremation services. The funeral staff is a valuable resource in arranging all of these important details and they can offer suggestions to personalize the ceremony that may be otherwise overlooked. Having a permanent memorial in honor of your loved one often brings peace of mind. You may want to select a cemetery marker, monument or bench in remembrance of your loved one. A tree can be planted in loving memory. Scattering of the cremated remains at sea or on land can represent your loved one with an important place that was loved by them that family and friends can visit. If you decide to scatter your loved one's cremated remains they can be placed in a decorative or engraved urn (that is not sealed) to hold cremated remains until scattering takes place and then you can keep the urn as a memento. Many opportunities and unique ideas can be planned to suit your loved one's personality. Planning an affordable cremation will allow you and your family to focus on planning a memorable memorial instead of worrying about additional financial strain. We'll provide personal arrangements that are creative and respectful to your loved one. You can rest assured that your loved one is being cared for with the utmost dignity and respect. For more information regarding an affordable cremation, please don't hesitate to contact our gracious staff at any hour. If you complete the contact us information, our professionals will notify you promptly.